The popular Six Sisters' Stuff bloggers come to the rescue with a new collection of more than 100 easy-to-make recipes of popular restaurant dishes and take-out favorites for busy families. With more than fifty recipes that you can make in 30 minutes or less, this cookbook can help make meal planning a breeze as you mix-and-match side dishes from one restaurant with main courses from another and finish it off with a dessert from a third. Includes copycat recipes for Texas Roadhouse Cactus Blossom, Panda Express Orange Chicken, Olive Garden Chicken Parmesan, Disneyland Monte Cristo Sandwich, Chili's Molten Hot Lava Cake, Sprinkles Red Velvet Cupcakes, and Universal Studios Butterbeer. So far I have made the Chick-Fil-A Chicken Nuggets, and they were a hit! The recipe was really easy to follow. I enjoy cooking but I'm not super great at it, and even for a non-chef like me the steps were clearly laid out. I have the e-book, so having it on my phone made it easy to go back to when I needed to follow the next step. Even the more complex recipes, like the Cafe Rio Steak Salad (definitely on my list to try! ), make it clear which component you need to make first to have it ready when you need it. The food photography in the book is wonderful and makes everything look delicious. I have tried to do other restaurant copycat recipes I found online before, but a lot of them were confusing and not fun to make (again, not a great chef). That was not the case with this book! This is the first Six Sisters' book I've purchased, and so far I am very impressed. Another wonderful book full of recipes your family will love!! Wow! This is currently a very popular cookbook at my house. When I first got it, I made the mistake of taking it to a family gathering. I ended up leaving it there (I had no choice!! Really!) with extended family members that had to try out some recipes first. Then I got it back to try some things for my own little family. The great thing about the recipes is that everything that you make actually tastes like their restaurant cousin, but so much cheaper than eating out. The variety of recipes is huge ranging from,Disneyland Dole Whips, Olive Garden's Spinach Artichoke Dip, Famous Dave's BBQ Ribs, Cinnabon Cinnamon Rolls to KFC's famous Coleslaw. My mom was thrilled to make her favorite restaurant food, P.F. Chang's Chicken Lettuce Wraps. She also liked the Olive Garden Chicken Parmesan. Overall this cookbook has something for everyone in your family. The outcomes are delicious and most of the recipes are easy to make. If you enjoy cooking and love restaurant food, you need to add this cookbook to your collection. Great cookbook! I have loved all the recipes I've tried! Six Sisters’ Stuff is one of my very favorite blogs to follow. Their recipes are always great. And the sisters themselves are fabulous! I was so excited to see their new cookbook, Six Sisters’ Stuff Copycat Cooking. This whole book is filled with the sisters’ copycat restaurant recipes and it’s amazing! This might just be my favorite cookbook ever! I’ve been playing with this cookbook since I got it last month. It’s organized very simply with appetizers first, then main dishes and last desserts and a drink section as well. Desserts is the favorite section at our house, but I’ve made recipes from all three sections. Each of the recipes I’ve made has turned out perfectly. They’ve all been delicious and they’re all things I would happily make and eat again and again! I loved the balance in this book of using prepared convenience foods with making everything from scratch. With these recipes, you’re not going to feel like you’re spending your whole day in the kitchen cooking, unless you want to be like me and make three or four recipes at exactly the same time! I’d say our favorite recipes out of this one have been the Chili’s Molten Hot Lava Cakes or the BJ’s Brewhouse Pizzookie or the Universal Studios Butterbeer. The pizzookie has been made several times at our house since we got this cookbook. I even made the Universal Studios Butterbeer for Harry Potter’s birthday last month and everyone in our family loved it! Definitely pick this one up for yourself, I hope you love it as much as we do! 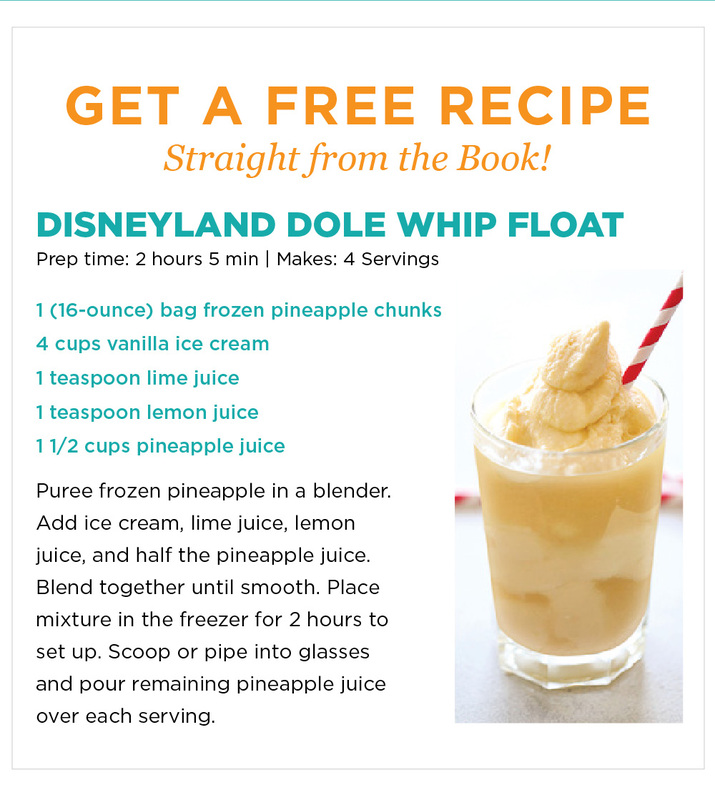 You can check out a sample recipe on Deseret Book’s website if you want before you buy it. I'm a huge fan of Six Sisters' Stuff cookbooks, so I jumped on the opportunity to review their new recipe book, Copycat Cooking. First, a disclaimer. I haven't actually eaten most of the original recipes that are being copied, so I can't compare the final product to the original. However, I can say that the recipes I made were easy to make (as promised in the description). They were also pretty tasty. I like the format/presentation of this recipe book. Each recipe has a color photo of the final product. That is a must have in recipe books for me. I think the only thing that would make the book better would be if it was spiral bound so it would lay flat on any recipe without me having to find something to hold it open (and potentially cover part of the recipe I'm trying to follow). The cover is a durable soft cover that would be easily cleaned if something splashed on it. I made the "Famous Dave's Cornbread Muffins" to go along with some chili (not from the recipe book). They are definitely on the sweet side (I like my cornbread to be less sweet with chili), but my family downed quite a few with dinner, and my husband said they were better the next day. We have some friends who'd never eaten macaroni and cheese, so I made the "Panera Bread Mac & Cheese". I've tried many mac & cheese recipes, and honestly I haven't found one that I love. But, we served this along with two boxed varieties and this was by far the winner out of the three. I wasn't able to find white American cheese, so I used standard orange American cheese and orange extra-sharp cheddar (instead of white extra-sharp cheddar). I think the only difference is the coloring. My family was turned off by the use of American cheese in the recipe, but I assume it was required to provide creaminess. Our German friend thought this recipe was too salty (but she wasn't much of a fan of mac & cheese in any of the varieties). Our Puerto Rician friend liked this recipe quite a lot. I made the Funfetti Cookies and Chocolate Chip Cookies that are with the "Baked Bear Ice Cream Cookie Sandwiches". I didn't do the ice cream part, but had the cookies for my kids after their first day of school, and I took the rest to a young women activity. The cookies were a hit. I was concerned that the Funfetti Cookies were too dry when I handled the dough and because they didn't spread out much while baking, but they tasted really good. If I make them with the intent to use them for ice cream cookie sandwiches, I'd have to flatted the balls of dough out before baking them. The Chocolate Chip Cookies were the favorite out of the two. I think the instant pudding package in the mix really added a lot. I would definitely make these again. My daughter made the "Nestle Tollhouse Cookie Pie". It was easy for her to make, and didn't last long in our house. The "Olive Garden Cream Cake" was our family favorite. It has three steps, and my blender had some issues while pulsing the crumb topping, so we didn't have nearly as much topping as called for. I don't think that hurt it at all though-and maybe I'd do without it next time. Anyway, it smelled divine while baking, and was a hit with family and friends. I will definitely add this to the recipes I want to make again. Out of the six recipes we tried, I can see myself definitely making two again, and probably making one of them again, and maybe making the other three again. There are still quite a few recipes I'm looking forward to trying, and that might bump up my overall rating.